Delamere takes its name from the ancient ‘De la Mara’ which means Forest of the Meres. The forest, which is managed by the Forestry Commission, comprises over 1000 hectares of mixed broadleaf and conifer woodlands, interlinked with a mosaic of open meres, mosses and heaths. The diverse nature of the area, ranging from mature woodlands through young plantations to open areas provides a haven for wildlife with diverse habitats for a wide variety of species. The forest has several way-marked walking, cycling and horse-riding trails and various other tracks and trails. The Shell Forest Classroom provides a space for educational visits and can be hired for private events. Each year over 15,000 visitors come to summer concerts in the forest, and each Christmas over 8,000 trees are bought. There are a range of regular events, with a programme targeting all ages and abilities, running throughout the year. The Delamere mosslands (also known as lowland raised bogs) have existed for thousands of years and now, with the help of the Forestry Commission, Natural England and Cheshire West and Chester council, the Cheshire Wildlife Trust, Cheshire’s largest regional conservation charity, is giving them a fresh start. Cheshire’s mosslands were created around 10,000-15,000 years ago during the retreat of the last ice sheet, which at that time covered most of the UK. As a warmer climate returned the ice sheet melted, dropping large chunks of ice across the landscape. The depressions left by them later formed the hundreds of meres and mosses that are scattered across Cheshire today. Since the beginning of the 19th century 94% of the UK’s lowland raised bogs have been destroyed through drainage or mismanagement. Delamere’s own mosses were nearly lost during the Napoleonic era, when attempts were made to drain and forest them. Today many of the mosses still exist, tucked away between the trees of the forest. In order to give these mosses a helping hand, the Cheshire Wildlife Trust has embarked on a four year project, funded by WREN (Waste Recycling Environmental who issue funding on behalf of FCC Environment Ltd), to give a new lease of life to these small but precious habitats. Mosslands are a unique habitat in that they contain very few nutrients, aside from what is brought in through rainwater. This means that very specialist plants and animals have evolved to survive in these tough conditions. 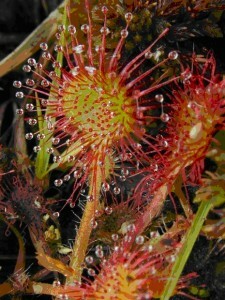 These include the carnivorous sundew, which, like its better known cousin the Venus flytrap, catches and digests small insects in order to survive. 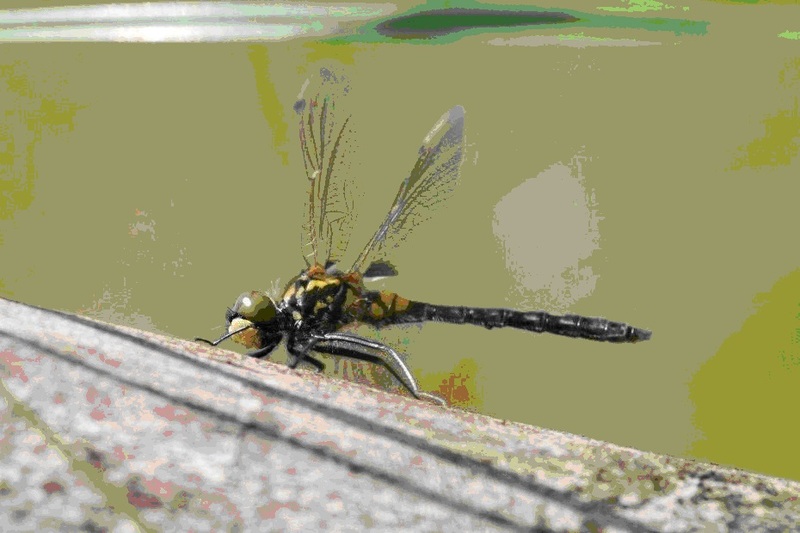 Another specialist, the white faced darter dragonfly, has recently been reintroduced to the forest, and the work the Cheshire Wildlife Trust is undertaking will hopefully ensure they have more than enough space to thrive. In order to bring the mosslands back to their former glory the damage that has been historically done to them needs to be reversed. This means blocking up the ditches to raise water levels, and cutting down the scrub and trees which have taken over the sites. Whilst felling trees might seem like the wrong way to go about helping wildlife, the long-term benefits of reinstating the mosslands, with their rare and threatened species, will outweigh the loss of the small amount of trees being felled as part of the project. There are many volunteer opportunities as part of the project. For those who don’t mind getting a little bit mucky there are two practical habitat conservation days a month; one on the first Tuesday and one on the third Saturday of the month. For anyone with an interest in birds, moths, bats, dragonflies or mossland flora there are surveying opportunities in the summer. Or if you’d simply like to make a donation towards the running of the project you can support the Cheshire Wildlife Trust by becoming a member and asking that a proportion of your donation go directly to the Delamere’s Lost Mosses project. 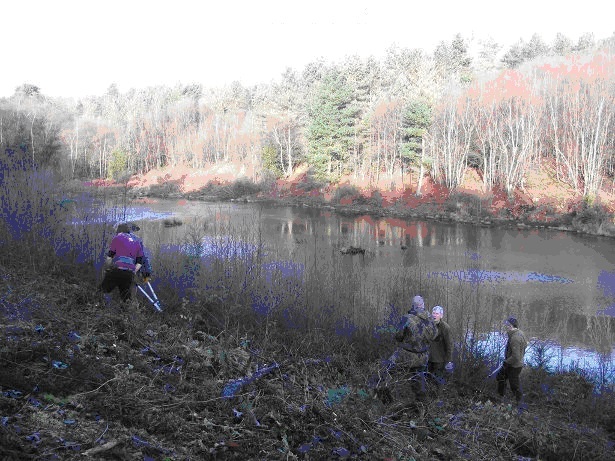 For anyone who would like information on volunteering, becoming a member or would simply like to know more about the project, please contact Katie Piercy at kpiercy@cheshirewt.org.uk. Images courtesy of Vicky Nall, Katie Piercy and Malcolm Storey.